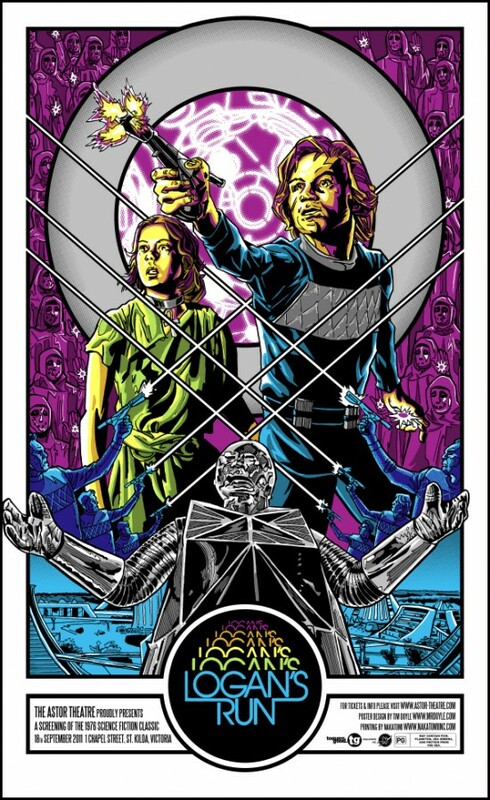 Logan's Run is one of my favorite Sci-Fi movies ever. They are having a special screening of the 1976 classic film over in Australia, so artist Tim Doyle created a special movie poster for the event. Check out the full posters after the jump and get ordering information as well.